I have 50,000 miles off my Barclaycard US airways credit card and it is set to expire sometime in June. I'm currently located in Nepal and I wish to either travel to Europe or SE Asia. How do I go about this? I've never done this before. Thank you for your help in advance. Have a good day! What expires soon, the miles or the credit card? Note that redemption rates will be changing in March -- mostly for the worse -- so you will need to book your award travel soon in order to benefit from the current rates. Because the AA partners that serve Nepal cannot be booked on aa.com, you will have to phone an AA Reservations office somewhere in the world to book. A Google search should yield a link to phone numbers for AA Reservations offices worldwide. Not sure what you're after but if I was you and looking for something awesome, try getting yourself on the Eithad A380 First Apartment on AUH-LHR. 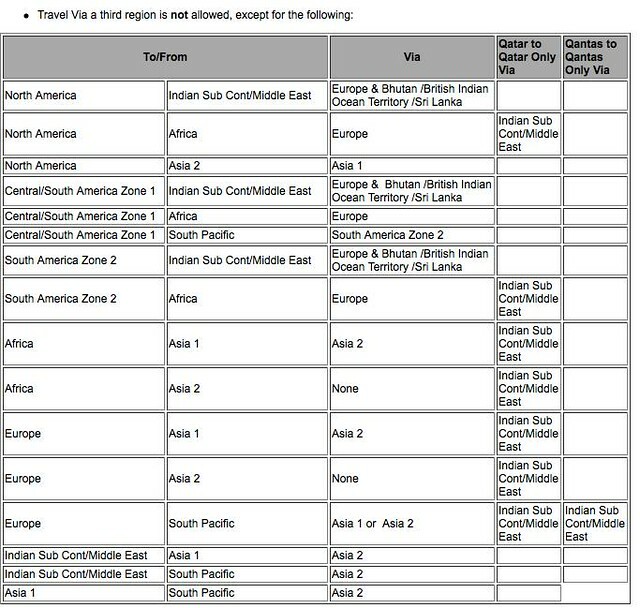 KTM is the Middle East / Indian Subcontinent in AA's book so KTM-AUH-LHR-somewhere in Europe on a oneworld airline (granted there is a published fare on EY) in First Class one way will cost you 40,000 AA miles before March 22. Getting yourself back to Nepal on a revenue ticket should not be too pricey. Depending on schedules you can stop in Abu Dhabi for up to 24 hours which I consider a worthwhile stopover. Is anyone having issues with AA unable to see EY award space? I've had a few Exec Plat agents unable to see seats EY shows as available for Guest Seat (not Open Seat, which AA does not have access to) for redemption in F on AUH-SYD on a number of dates and flights. I haven't had this issue before with EY. Edit: One agent said she was accessing EY inventory via Direct Access (I think that was what she called it). Is there another way to access availability on EY? Is anyone having issues with AA unable to see EY award space? Is there another way to access availability on EY? Call the Australian call center. I think this was discussed upthread and I had the same issue ~10 days ago. Calling Australia solved the problem. Thanks, I checked the last few pages of the thread but didn't look that far up. Called Australia (Fiji) and they instantly saw the seat and got it. And this agent was stellar. Methinks I'll be a regular Fiji caller. The points. Calling some US-based reservation number shouldn't be a problem due to google hangouts calling service. I thought redemption rates had already changed so I sorta gave up on the idea. Thank you for your reply. so in layman's term, KTM to LHR via Abu Dhabi will cost me 40k AA miles (first class) and I'll need to get back to Nepal by purchasing it on my own (one-way)? I'll definitely look into this. This is pretty awesome. Thank you! "so in layman's term, KTM to LHR via Abu Dhabi will cost me 40k AA miles (first class) and I'll need to get back to Nepal by purchasing it on my own (one-way)? I'll definitely look into this. This is pretty awesome. Thank you!" Exactly how many AA miles do you have? Keep in mind that your credit card should earn you a rebate after you redeem 40K miles for KTM-LHR in F. If you end up with 20K miles left over, that will be enough for Europe-KTM in Y; if you don't have 20K miles left over, 10K AA miles will get you an intra-European one-way. Depending on one-way fares to KTM, you might want to use 10K AA miles to get to Eastern Europe/Turkey, if fares to KTM are significantly cheaper from there. Yes. And you should be able to tag on one more connection from London to somewhere in Europe if fares restrictions allow. I did this on DEL-AUH-LHR-DUS last week. Call AA Australia as currently US AAgents seem to be having trouble accessing the seats on EY. I think Istanbul to KTM costs about the same as LHR to KTM. I have 60003 (just checked to see) miles on US airways. Do I transfer it to AA miles? Awesome. Transferring miles from US airways to AA should be the first thing I should do then, I suppose. Also, will I be ok booking a flight for say, April or May before the cutoff date (March 22?) or do I need to take a trip before the new changes took place? Thank you for your replies. Also, I just found out that I actually have 60003 miles! Your miles should already be converted to AAdvantage miles, and you should have an AAdvantage account. This change occurred back in March 2015. You can book a flight for after March 22 at the current rates. However, making certain changes after 3/22 may incur a repricing that would require you to pay the new mileage rate. As of now, I believe the only change that has been confirmed NOT to trigger a repricing is a date change. Awesome. Apparently, I'd already signed up for AAdvantage account. My balance, as it stands, is 60k miles. I'm really happy to know that I can book flights for later in the year at current rate. Last question if you don't mind me asking, will i lose my miles if I cancelled the cc (barclaycard US airways mastercard)? "Last question if you don't mind me asking, will i lose my miles if I cancelled the cc (barclaycard US airways mastercard)?" No. But hasn't your Barclays US Airways credit card already been converted to an "Aviator" card that earns AA miles? If you close the credit card before you redeem your miles, you will not qualify for the 10 percent rebate on award redemptions. Also, flights from the UK to KTM will have significant departure taxes/fees. If you can depart from another European country, fees should be lower. And if you'll be redeeming 20K miles to fly back in Coach, you have a few carriers to choose from, not just Etihad.